Welcome to babywearing international of detroit! After finding so much success in the Facebook group, we wanted to join up with Babywearing International in hopes of formalizing our services and offering new services. In the coming months we will be focusing on the transition and helping existing caregivers become members. As we get established we are hoping to offer open meetings in a larger space and expand our lending library. So tell us, what are you hoping to see from Babywearing International of Detroit? 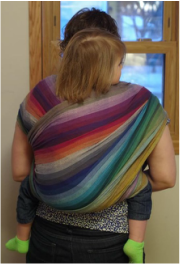 Our educators have several years of combined babywearing experience. They are excited to offer guidance to newbies as well as admire the latest carrier beauties!